LOUISVILLE, KY (WAVE) - While teachers and protesters fill the streets of Frankfort, the Kentucky state legislature discussed and voted on on several matters regarding the state's budget. 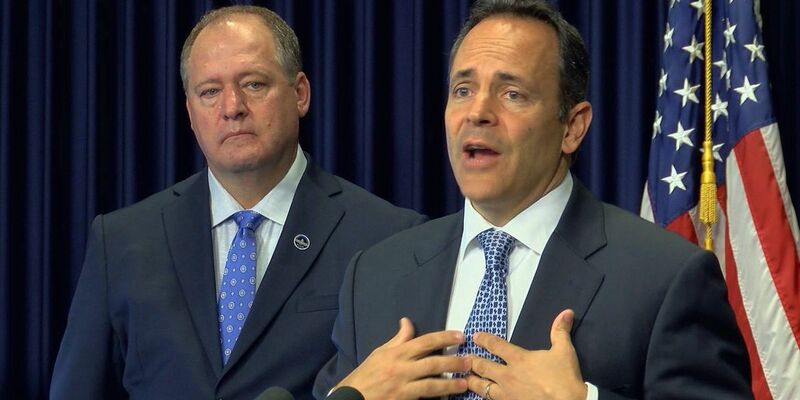 Governor Matt Bevin issued a statement on the budget process Monday afternoon. "Kentucky is poised for greatness, but future successes are very dependent on a competitive tax structure and a budget that is fiscally responsible. A fiscally responsible budget does not contain unfunded mandates and does not intentionally create budget shortfalls in the future. A fiscally responsible budget does not put the obligation for today's spending on the backs of our children and grandchildren. A fiscally responsible budget does not kick the can down the road as previous governors and legislators have repeatedly done. I am very concerned that the current proposals from the General Assembly may not meet these basic standards of fiscal responsibility. It is our obligation to ensure that any budget and tax changes put Kentucky on a stronger financial foundation. We have ample time left in this legislative session to thoughtfully do exactly that. Our economic future, and everything we expect government to pay for, depends on us doing this the right way." Earlier Tuesday, the Kentucky House passed HB 366 relating to state tax reform, by a vote of 20-18. It now goes to the Senate. WAVE 3 News reporter David Mattingly is in Frankfort following the latest developments.